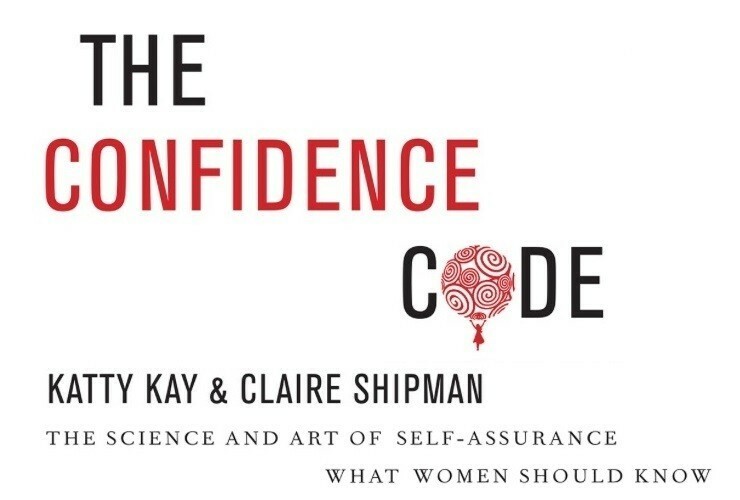 The Confidence Code is a must-read for every woman who is looking to excel and every mother, especially of daughters. The authors, journalists Katty Kay and Claire Shipman, raise hard questions and meticulously research the subject of "womenomics" and self-assurance, offering some very astute suggestions for self-awareness and improvement. Their bottom line is that confidence is a key factor in the ability of women to succeed and building confidence is something you need to work at: "You won’t get it if you don’t work at it, because all of our self-generated confidence comes from work, and mastery in particular." The book includes a large number of interviews with women in senior positions, providing testimony about their own self-doubt on the way to success. This is an important book with valuable insights; first and foremost, understanding the scope of the problem and also demonstrating that we are not alone and that these same struggles of uncertainty and underestimation of our capabilities are the province of many other women who surprisingly tend to attribute their success to the vagaries of fate or "just being lucky." The authors examined various studies in their attempt to find out whether gender and genetics are responsible for the differences in confidence levels and the ensuing unequal gender representation and performance. The results of their inquiries are clear and are, in my opinion, must-know, must-tell facts for every girl, teenager and young woman. As such, I will share with you just a few fundamental points to draw you in. Male and female brains are more alike than they are different. An examination of two random brains scans could not clearly distinguish between male and female brains. In terms of intellectual output, the differences are negligible. IQ tests are basically equal for the two sexes, although according to some measures men tend to score higher in math and spatial skills, and women routinely outpace men in language arts. Research showed that female brains are more active in almost all areas than male brains—and most especially in the two areas that influence what may be seen as female characteristics: empathy, intuition, cooperation, self-control, vulnerability to anxiety, depression, insomnia, pain, and inability to switch off thoughts. In other words, brain scans seem to provide physical proof of women’s inclination for overthinking and ruminating. The essential question asked by the authors is whether, considering these gender variations, male and female brains are programmed to develop this way, or are these physical differences a result of our upbringings with their inherent habits. Scientists are not yet close to an overall explanation, but there is growing evidence in all of the work on brain plasticity that our brains can certainly change in response to our environment over the course of our lives. Cognitive behavioral therapy, helping individuals to create new thought patterns, is the most effective approach to specific behavioral change, but in MRIs conducted before and after a period of meditation, it has been proved that even basic mediation results in less activity in the amygdala, the fear center. It has been shown that meditation could physically change the brain. In short, our brains can be physically and practically trained to better match our needs and goals. Practice, be willing to learn, master yourself to the point that you feel confident in your training. Action: being a doer and not just a thinker. It is by action that we make progress and build confidence. Motivation is a major factor for prevailing, and in many cases it is not a nurturing environment that helps us but rather some adversity: "What doesn't kill you makes you stronger." Believing, in the sense of adopting a growth mind-set. Believing that skills can be learned leads to doing new things, and self-belief is the necessary foundation for turning aspiration into action. Once we have put aside our natural inclinations and parameters, we are left to convince ourselves that no matter where we are at now, this can be changed by understanding two things: first, we can rewire our brain to become more reliably confident for the long term; and second, there are strategies we can adopt to help build firewalls that keep toxic thoughts in check. This book gives simple practical advice which is well worth reading. Our awareness and attention can play a major role in making a change, not in who we are but in how we use our female inclinations to our advantage, or to use the authors’ words: "get our natural instincts to work more in our favor."